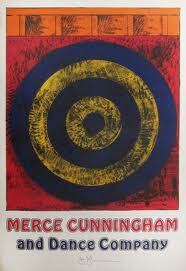 World Famous Merce Cunningham Dance Company, Merce Cunningham Dance Company was formed at Black Mountain College. Merce Cunningham Dance Company was formed at Black Mountain College in the summer of 1953. Since that time Cunningham has choreographed nearly 200 works for his company. In 1973 he choreographed Un jour ou deux for the Ballet of the Paris Opéra, with music by Cage and set design by Jasper Johns. The Ballet of the Paris Opéra also performed a revival of his Points in Space in 1990. His work has also been presented by New York City Ballet, American Ballet Theatre, Boston Ballet, White Oak Dance Project, Pacific Northwest Ballet, Pennsylvania Ballet, Zurich Ballet, and Rambert Dance Company, among others.